Dolly Parton’s Imagination Library of Knox County purchases and mails a free, high-quality book to registered children in Knox County every month from birth to age five. The theory underlying IL’s service consists of three simple but integral components: first, the presence of high-quality and age-appropriate books in the home increases the number and quality of a child’s literacy experiences, leading to a positive association with books and reading that endures into the school years and beyond. Next, the arrival of new books on a predictable monthly interval creates a sense of ownership and excitement about the receipt of books and their use. Last, the shared experience between children and their caregivers of reading IL books together in the home environment is an important contributor to school readiness and literacy achievement, and to deepening the parent-child connection. 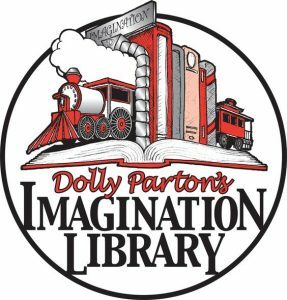 Dolly Parton’s Imagination Library of Knox County provides A BOOK A MONTH for children of Knox County. Together, United Way of Greater Knoxville and Dolly Parton’s Imagination Library of Knox County are working to improve literacy in our community.